What a loving pair! You can have dogs and cats as pets in one house if they get along well like these little ones. 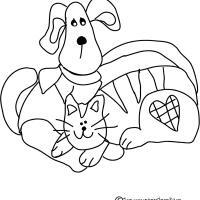 Color the puppy and kitten differently.